A single-owner collection of Modern British art will be offered at Boningtons’ sale of fine art, antiques and Asian works of art in Loughton, Essex on February 26. 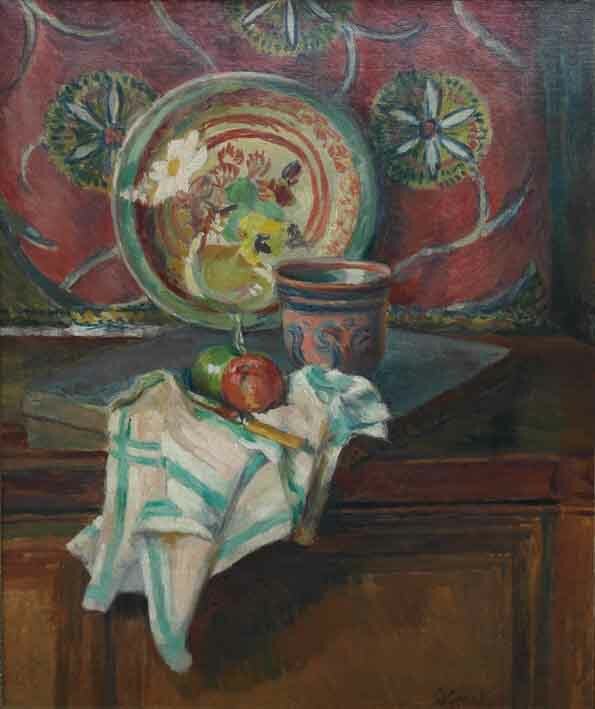 This still life by Duncan Grant will be offered at Boningtons of Loughton, Essex on February 26. Forming 20 lots in total, most of the pictures were purchased by the private collector around a decade ago (some from Sotheby's and Christie's) and the most notable works include examples by the likes of Duncan Grant, Vanessa Bell, Dorothea Sharp, Frederick Gore and Sir George Clausen. Pictured here is Grant's Still life with Italian Handkerchief, the studio, Charleston which was painted in 1950 and has additional provenance to The Reader's Digest Collection in New York. A 231/4 x 191/4in (59 x 49cm) signed oil on canvas, it is estimated at £8000-12,000.